Hi, I work part-time for the Stockholm Environment Institute (SEI), with the SEI Oxford group in the UK. Having been in Oxford for 4.5 years (2006-2010), these days I work mainly out of Cape Town, South Africa, doing my PhD research and moving between the university and the local municipal government as part of the Mistra Urban Futures programme and now the FRACTAL project. This enables me to get a range of perspectives on climate adaptation information needs and learning opportunities from both the research community and the policy community. My work of late includes working with colleagues on: developing training modules for professional development courses on climate adaptation; exploring how ecosystem-based approaches to climate adaptation can be integrated into development planning; and researching urban governance and adaptation decision making to address flooding and coastal inundation. I have also been doing some work on climate risk communication, looking at how to bring different kinds of knowledge (for example formalised climate science knowledge, public policy knowledge, and tacit localised experiential knowledge) into 'dialogue' in order to make decisions on how to adapt to climate change, within competing priorities. This has application at all scales, and more importantly across scales, but right now I am particularly interested in the city scale as a point of entry. 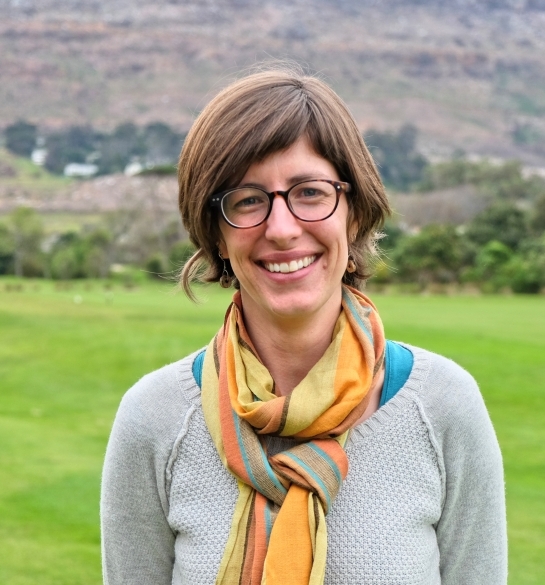 Within the weADAPT platform I am editor of the Using Climate Information Initiative, which focusses on linking climate data and scientific analyses with the operational knowledge of those tasked with making policy decisions and implementing adaptation strategies. This involves a lot of experimentation and learning from each others' successes and challenges, so I look forward to collaborating with you on this in some shape or form!